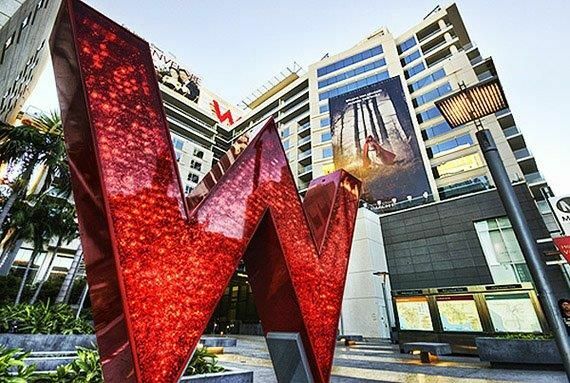 A joint venture between HEI Hotels & Resorts and Gatehouse Capital was just launching efforts to market the W Hollywood Hotel when Host Hotels & Resorts made an offer that could not be refused. The Bethesda, Maryland-based REIT agreed to pay roughly $220 million, or $721,300 per room, for the leasehold interest in the 305-room hotel, REAlert reported. Eastdil Secured brokered the sale. HEI and Gatehouse developed the hotel and an adjoining condominium tower in 2010. They tried to find a buyer for the hotel in 2015, without success. Since then, Los Angeles-area hotels have seen their revenue per room increase. The property is managed by Starwood Hotels & Resorts, which owns the luxe W brand. In addition to its rooms, it makes money from seven billboards and and 10,000 square feet of street-level retail on the property, in the smack center of Hollywood.